HP has revealed a brand-new laptop called Spectre Folio at a special media event just moments ago. The company claimed the device as “one of a kind” and from the way we looked at it, the claim is not far-fetched at all. For the starters, the Spectre Folio features a chassis that is a mix of leather and metal. 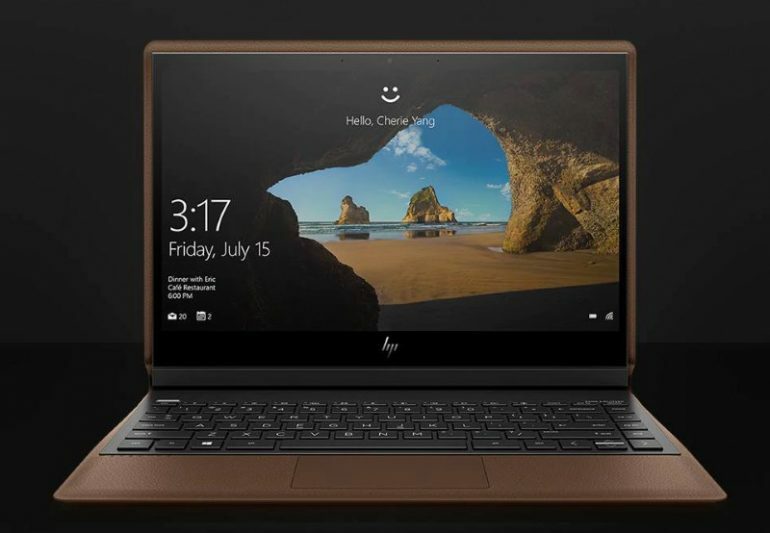 Specifically, the outer part of the laptop consisted of genuine leather while its inner part still contains a metal frame that is made of magnesium and aluminum frame. Not only that, the Spectre Folio can also be utilized in three different position thanks to the flexibility provided by its physical design. Specifically, one being the traditional laptop position as well as the tent mode in which users can bring forward the laptop’s 13.3-inch display in front of its keyboard. Not to forget, users can also choose to utilize Spectre Folio in tablet position for drawing. Speaking about its inking capability, the convertible also comes standard with HP Digital Pen which features 4096 level of sensitivity. Weighing at around 1.47kg together with a thickness of around 14cm, the Spectre Folio can be obtained with up 8th Gen Intel Core i7-8500Y processor, 16GB of RAM, and 2TB solid state drive. Also featuring a 6-cell 54.28Wh battery, the Spectre Folio apparently has a battery life that able to last up to 18 hours. 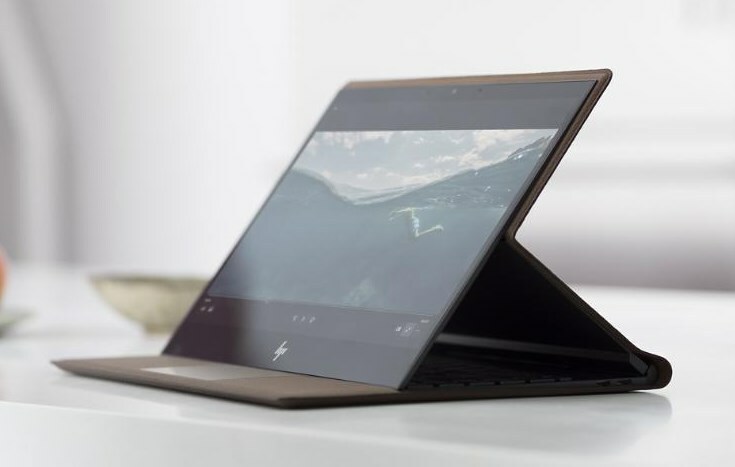 While the laptop only comes with Full HD touch display at the moment, HP stated that it will release a variant with 4K display in the near future. 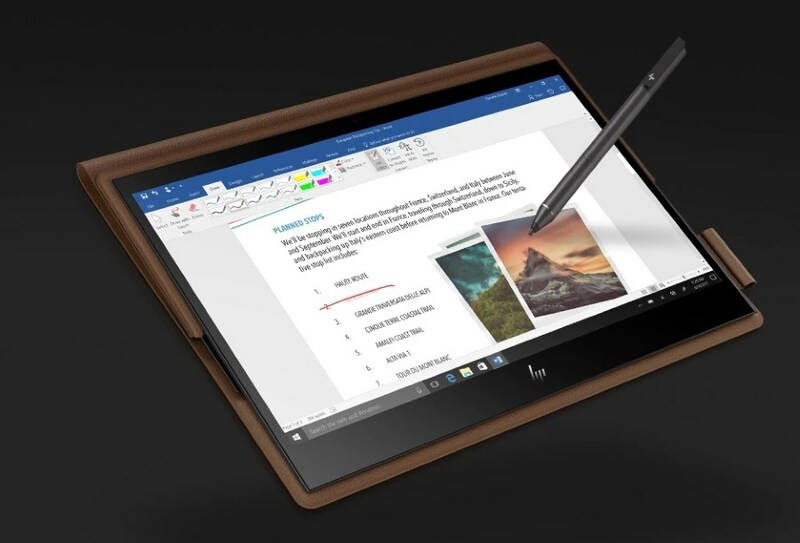 Price-wise, the HP Spectre Folio starts at USD 1299.99 (about RM 5392) for the Core i5 variant while the Core i7 version begins at USD 1399.99 (about RM 5807). For users that want to stay connected all the time, they can choose the LTE-enabled variant that starts at USD 1499.99 (about RM 6222). Scheduled for release in US at the end of October, HP has yet to release the availability and pricing information for Spectre Folio in Malaysia. Rest assured, we expect the device to carry a premium price tag once it is made available in Malaysia.